With the rising tide of popularity over environmentally aware lifestyle choices, sustainable travel is not far behind. In a previous post, we talked about how wanderlust can leave a very expensive carbon footprint, but by taking a close look at four of the 'greenest' cities in North America, we will explore how travelling can indeed be an eco-friendly and exciting experience for both you and the planet. With a goal of becoming the greenest city in the world by 2020, Vancouver’s sustainability already rises above the rest of Canada. It ranks as one of the most eco-conscious cities in North America, boasting the smallest carbon footprint of any major city. Vancouver is home to Stanley Park ( one of the world’s largest urban parks), the birthplace of the environmental organization Greenpeace, is a leader in sustainable living and urban planning, and above all, the city is known for its eco initiatives. All in all, Vancouver has certainly earned its ranking as a leader in environmental sustainability. The city has long been following a sustainable path, working in sync with the tourism board in promoting green practices, sustainability and ecotourism. This makes for a very eco-inspiring visit to what is sometimes referred to as ‘the San Francisco’ of Canada. Being environmentally aware is a way of life in Vancouver, something which is very evident in their use of green urban planning and ecotourism initiatives, making a visit to this wonderful city pretty low on the carbon footprint scale. Vancouver has a lot to offer; a city guaranteed to whet the appetite of any traveler. It is the kind of place that leaves you wanting more, ensuring your return. One never gets to experience everything in one visit, so the best option is to select few items on the must-do list and experience them to the fullest. With the abundance of green spaces, wonderful farm-to-table restaurants, sustainable hotels and eco-friendly attractions, ecotourism has become a budding industry in Vancouver. They have mastered the art of catering to the green market in a very inspiring way. Combine that with your already eco-aware travel plans and spending a week in Vancouver can leave less of a carbon footprint than spending a week at home. Fairmont Waterfront partnered with Hives for Humanity in April of 2014 to place 23 mason bee houses across Vancouver, becoming the first hotel to host solitary bees. When it comes to choosing a place to stay, Vancouver is home to some of the world’s greenest hotels. It boasts a list of highly rated, global Green Key hotels. As part of its commitment to environmentally sustainable practices, the Fairmont Waterfront sources herbs from its own rooftop garden which also includes a honeybee apiary. In 2015 the harvest brought in over 270 kg of honey from 250,000 resident honeybees. The hotel uses the honey in their cocktails, desserts, salad dressings and signature drinks. Located downtown Vancouver, The Listel Hotel also offers an eco-friendly option. The hotel has been zero waste since 2011 and currently uses over 20 solar panels and a state-of-the art heat capture system to drastically reduce the hotel’s natural gas usage. The hotel is also the recipient of the highest eco-rating for a local boutique hotel receiving 5-Green Keys for their leadership in environmental practices. In the spirit of promoting sustainable tourism, a variety of eco-friendly transportation choices are available making the use of a car largely unnecessary. The city is easily walkable as well as easy to navigate; made even more so by the recent upgrades before the 2010 Winter Olympics. Between the SkyTrain metro system, North America’s largest hybrid taxi fleet, an extended network of bike lanes and rentals, and numerous ride-share programs, there are plenty of green commuter options. Even getting across the water to Granville Island (a must on your list), is done via the Aquabus which delivers you directly into a local favorite; the Granville Island Public Market. City Passes and further information can be obtained at Tourism Vancouver locations or online. When it comes to seeing the city and its many eco-attractions, there are a few culturally iconic locations not to be missed, and the Vancouver Aquarium is one of them. Opened in 1956, the aquarium has been a sanctuary to thousands of ocean species as well as a rescue center for local marine life. It also serves as the headquarters for Ocean Wise ® initiative and is internationally recognised for its environmental research, Marine Mammal Rescue Program and dedication to protecting and restoring the world’s oceans. Located in Stanley Park, the Vancouver Aquarium is the largest in Canada and has fast become a leader in environmental education and marine conservation. Being a major part of Vancouver’s makeup, Stanley Park offers everything from beaches and totem poles, to hiking, biking, rollerblading, great food, an abundance of wildlife and so much more. Measuring 400-hectares, Stanley Park is not only the world's largest urban green space, but it is one of the main contributors to the city’s environmental ranking. Since its opening in 1888, the city has gone to great lengths to protect the ecology of the park ensuring its sustainability while designating it a National Historic Site. No visit to Vancouver is complete without experiencing the wonders of this urban oasis. The Vancouver Convention Center is a remarkable work of sustainable and environmental engineering, and the world’s first double LEED® Platinum certified convention center. Across the bay from Stanley Park lie Canada Place and the Vancouver Convention Center. Inspired by their proximity to the bay (or on ‘the doorstep of nature’ as they like to put it), the west wing of the building houses the largest non-industrial living roof garden in North America, spanning a full six acres. In addition to acting as insulation during the winter, the roof garden is home to more than 400,000 indigenous plants and grasses as well as four beehives. The garden operates under its own micro eco-system while the bees do their part in pollinating the plants and supplying the scratch kitchen with organically home grown honey. Under the foundation of the west wing, you will find one of the most significant things about the Vancouver Convention Center; a restored marine habitat built into the foundation. Since its inception there has been a vast improvement in the water quality in the area along with a significant growth in the variety of sea life. This widely popular program, which has now spread throughout Canada, was pioneered by the Vancouver Aquarium in partnership with an innovative group of local chefs. So when choosing a restaurant, be sure to look for the Ocean Wise symbol. One of the many things that Vancouver prides itself on is the local cuisine, mainly the seafood. And believe me it lives up to its reputation. However with that said, not all dishes are made equal. In order to insure you are eating sustainably sourced seafood, be sure to look for restaurants participating in the Ocean Wise program – an initiative introduced in 2005 to support sustainable fishing practices and local fishing communities. Eating at any restaurant displaying the Ocean Wise symbol ensures your support of the program’s sustainable initiatives. Supporting local economies, especially eco-friendly businesses is an excellent way of paying back while being consciously aware of your eco-footprint. 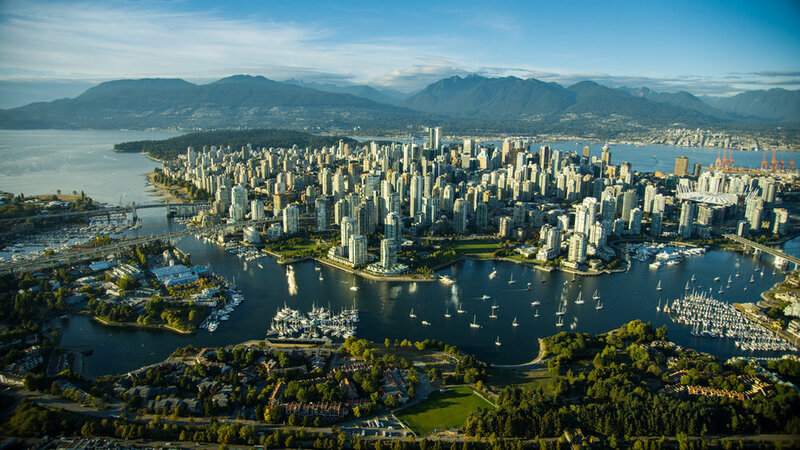 British Columbia, and Vancouver particularly, have suffered greatly in 2017 in the wake of the devastating wildfires that ripped through the area in late August, putting a great financial burden on the local economy. By going back to visit areas that have suffered, we are in effect helping them recover. However, in order to do so in a sustainable way, it is important to support the local eco-economy through sustainable choices. Stay in an eco-friendly hotel, eat at a farm-to-table restaurant, buy fresh at local farmers markets, support local artists, visit eco-friendly attractions and always be mindful of your transportation choices. Following these few green practices when you travel will make the world of difference to the footprint you leave behind, as well as earn you a promotion to the ranks of official eco-traveler. Older PostAre Nanoparticles in Food a No-No?